Why Donate Reusable Building Materials? lots of reusable building materials. If you are are remodeling, taking down a home or building, or have excess materials, you have the opportunity to help the environment, and get paid for doing it! In order to prevent reusable building materials from ending up in landfills, the federal government provides a tax deduction for those materials donated to a participating nonprofit. This tax deduction can help offset the cost of the deconstruction process, a much better deal than just sending the materials to the landfill. Take a look at some examples of possible projects and eligible materials! Read what AndersenTax.com says about deconstruction and reusable building materials! 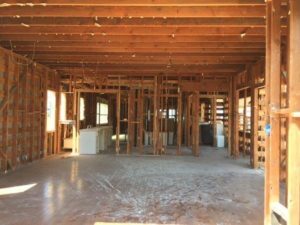 Unfortunately, deconstruction typically costs more than traditional demolition. It’s far more labor intensive to take a building down piece by piece, rather than simply destroy it. But! You can offset the cost of deconstruction and demolition by donating the reusable building materials to a qualified non-profit. Under the right conditions, you can receive a tax advantage for the donation. As you can imagine, the possibility for abuse is large. As a result, the IRS REQUIRES a qualified independent third party appraisal of the value of the building materials before you can claim the deduction. Why You Need Property Pro’s! Avoid appraisers that inflate values and/or do not use recognized methodologies. If an appraiser promises a value that seems too good to be true, it probably is. Talk to your appraiser and make sure that their goal is to provide you with a reasonable and ethical appraisal. What makes Property Pro’s different from others? We have over 20 years of experience in the appraisal industry, and over 15 years experience in appraising charitable donation of reusable building materials. Our appraisal services focus on the key components of IRS publications regarding charitable donations. It’s vitally important to us that tax benefits always be available to those who choose deconstruction as an alternative. We work with many non-profits, architects, contractors and designers across the U.S. Our experience insures that your materials will actually be donated to a nonprofit, so that you may claim your tax deduction, rather than end up in a landfill. Our experience, research, and materials data base allows us to provide quality appraisals, and our relationship with the non-profits allows us to insure that our clients receive the full benefit of their donation. Property Pro’s is dedicated to environmentally sustainable building. We believe that the first step in this process is to properly repurpose, reuse, and recycle the existing improvements on a site prior to building a new structure. We work with clients through this process to provide the tools necessary to make an educated decision.